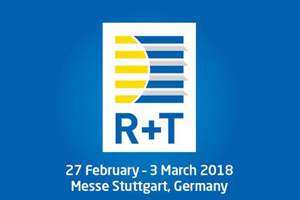 At Stuttgart, R + T is the world’s leading trade fair for roller shutters, doors/gates and sun protection systems. The countdown runs, don’t hesitate any longer … come and discover from 27th of February – 3rd of March 2018 our product range of inspired pergolas! !